Murine bone marrow-derived macrophages (BMMs) can be differentiated within 10 days from ex vivo bone marrow progenitor cells by supplementing the cell growth medium with colony stimulating factor-1 (CSF-1). Mature macrophages express specific myeloid markers which can be labeled and detected by flow cytometry (FACS). 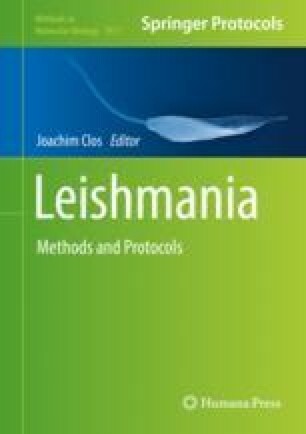 BMMs are a valuable tool to investigate the interactions between the Leishmania parasites and their host cell as well as to screen anti-Leishmania components. Options for the readout of in vitro infection experiments are diverse and may range from simple counting of intracellular parasites to the determination of metabolic changes of the intracellular parasite or the infected cell, thus providing the investigator with valuable results. Thanks to Andrea MacDonald and Christine Brinker for help with handling the cell cultures, and to Dr. Hannah Bernin and Dr. Julie Sellau for advice regarding the FACS analysis.